When given a choice, I would always make pizza with dough leavened with sourdough. 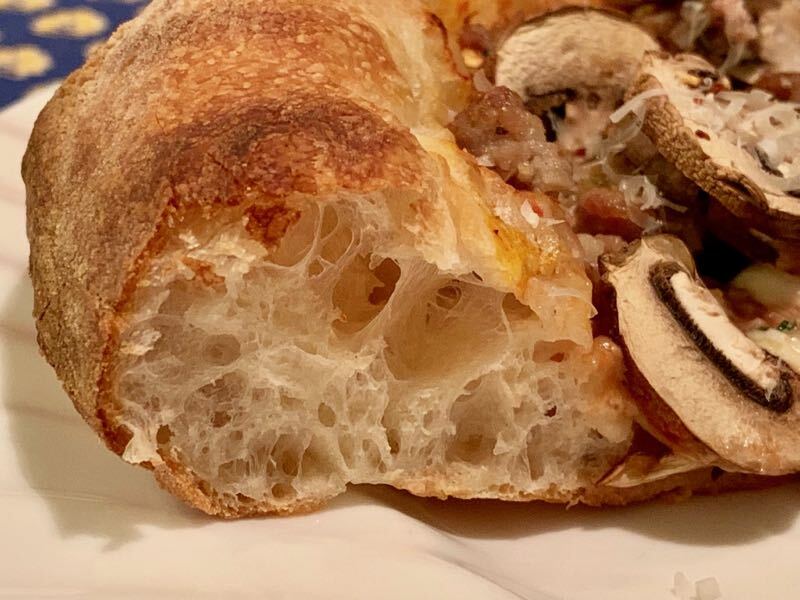 This could be a sourdough made with a three day lead time (See: http://www.thefreshloaf.com/node/34452/pizza-bliss) or even dough made with sourdough “discard.” (See: http://www.thefreshloaf.com/node/37179/pizza-made-sourdough-starter-discard) But, you know, sometimes I decide I want pizza for dinner tonight, not two or three days from now. 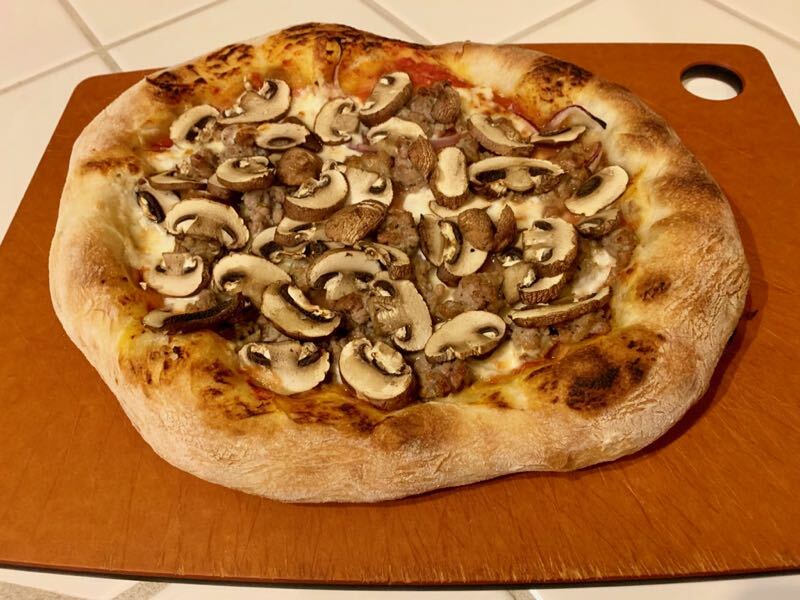 I have found that the “Same-Day Straight Pizza Dough” formula from Ken Forkish’s “Flour Water Salt Yeast” makes darn good pizza. 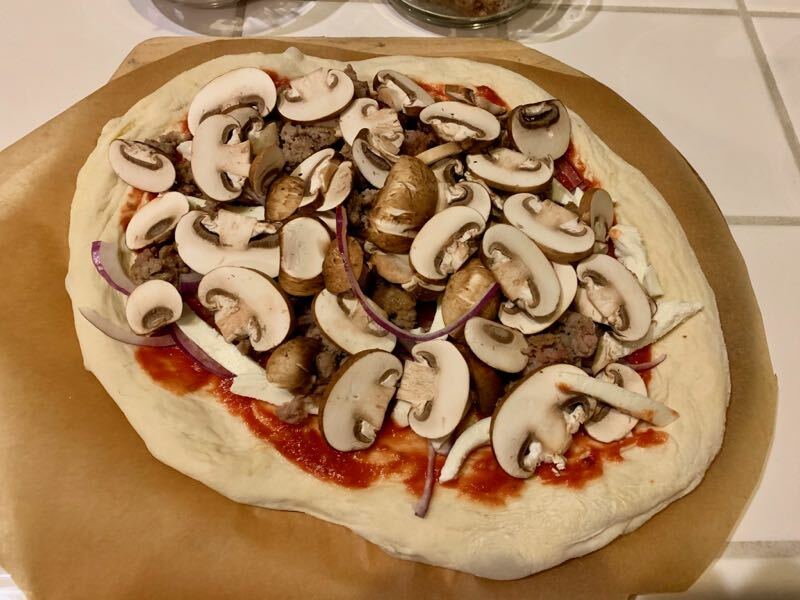 You do have to decide on pizza for dinner tonight by 8 or 9 am in order to get the dough made and ready for a 7 or 8 pm dinner. I usually plan for it before I go to bed the night before. Note on quantities: These amounts of ingredients are for about 5 medium-sized pizzas. I usually scale the ingredients for 4 pizzas and actually make two pizzas and a quarter sheet pan of focaccia. 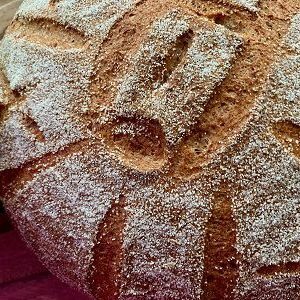 Note on flours: This formula works well with a variety of flour blends. 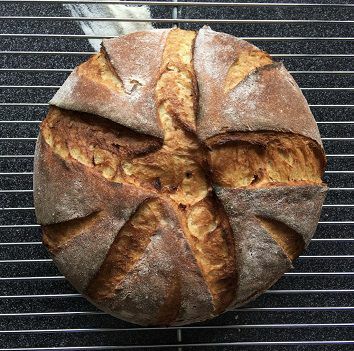 You can use AP or Bread Flour entirely. 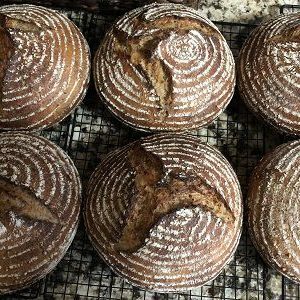 You can substitute whole wheat for some of the white flour. 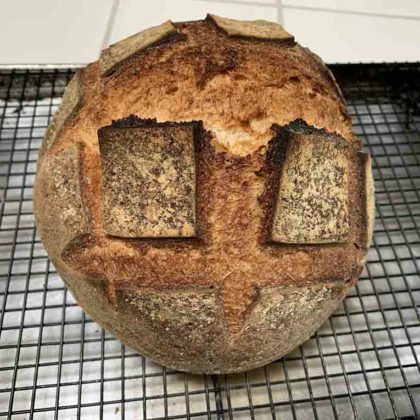 I have made this dough with Bread Flour and 00. I found the crust less crispy and more chewy than I prefer. I have made it with all 00 flour. The flavor was wonderful, but 00 is milled to work best in a real pizza oven that heats to 700ºF or even hotter. In my home electric convection oven, the best I can do is 500ºF convection bake. 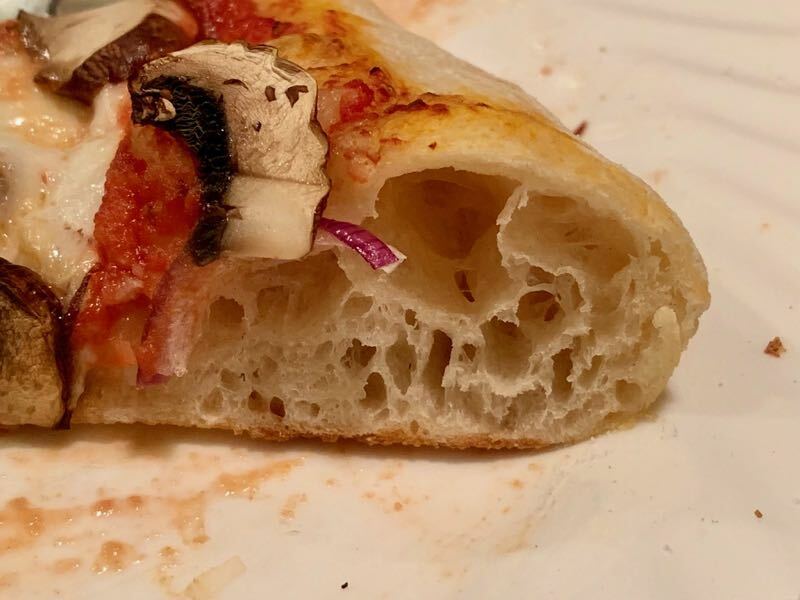 Pizza dough made with 100% Italian 00 flour does not brown well. So, a mix of AP and 00 flours is the best I have found to date, giving me great flavor and beautiful performance. Well, a little whole wheat flour doesn’t hurt a bit. Measure the yeast into a small bowl. Mix it with a couple tablespoons of the heated water and put it aside. Transfer the dough to a clean, lightly oiled bowl. Cover the bowl. Allow the dough to ferment until almost double in volume (6-8 hours, depending on ambient temperature.) 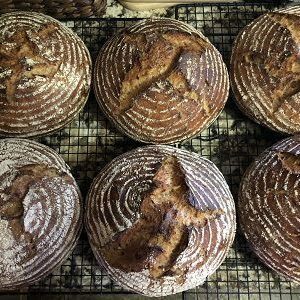 Do not under-ferment the dough. In this case, a bit over-fermented is better than under-fermented. Transfer the dough to a lightly floured board. 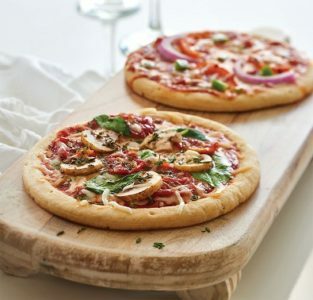 Divide the dough into pieces – 350g for 10inch pizzas; 700g or more for focaccia; etc. An hour or two before use, take the dough balls out of the refrigerator.